It was dusk and getting dark and I couldn't hold the camera still enough. 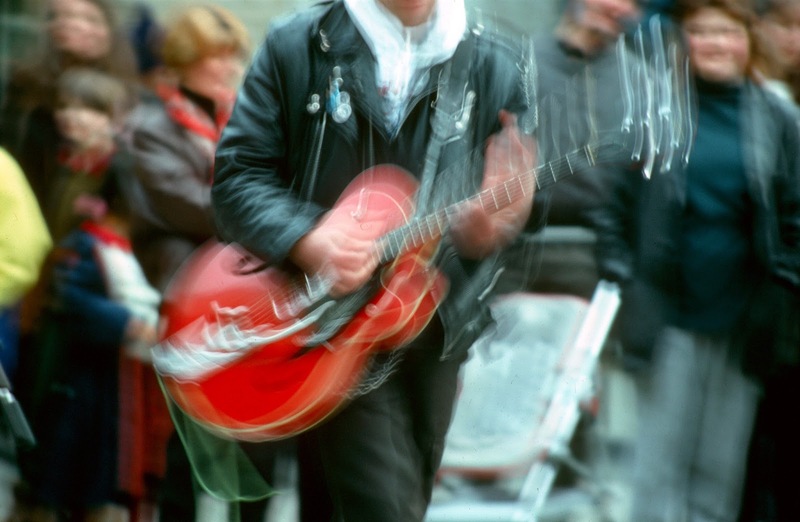 The busker (and his mates - one with a double base) is captured in full action as a result of camera shake but it works. In those days children, the American mall atmosphere of today's Covent Garden was but a wishful hope of some government functionary or two.